If you want to make a professional business impact, contact Watson Productions for custom-built trade show exhibits for your New York event. Each display is specifically designed to deliver an experience that connects your specific brand to your audience. Watson Productions will create a stunning and memorable presence at every event. From large trade show display designs to small exhibits, your custom designed trade show exhibits will captivate everyone across any New York event floor. Any New York business interested in trade show exhibits, should contact Watson Productions. We have over 17 years of experience creating trade show exhibits. We design creative and up-to-date New York trade show exhibits for all types of businesses in every industry in New York. Watson Productions delivers the highest quality solutions, exhibits and graphics that will enhance any event or trade show. We design and manufacture exclusive tradeshow exhibits, displays and environments for a diverse group of New York customers. We also offer portable trade show exhibits to our New York customers that can be set up with ease, and efficiency. Watson Productions offers a large variety of portable trade show exhibits that include a full line of customizable portable exhibits with unique creative designs that get your company noticed at New York City trade shows and events! We use a range of marketing strategies and initiatives that incorporate a wide range of styles, textures and interactive elements. We create New York trade show exhibits that are truly unique and an expression of your brand message. We are extremely experienced and our designers work closely with our New York clients to create the best trade show exhibits including custom displays, modular units, portable displays and branded environments. Our trade show exhibits will impress any New York audience. Watson Productions offers a variety customized tradeshow exhibits and displays that can create structural presence, including large graphic structures, booths, accessories, merchandising, conference rooms, technology and storage. Watson Productions will bring your brand to life with fresh, creative New York trade show exhibits and designs that integrate technology and audio visual services to make a strong impact on anyone! Trade show exhibits at any New York event should always advertise your brand and deliver a strong statement. Watson Productions uses the latest trends and interactive technologies to engage all of your visitors with your trade show exhibits at your New York event. Your exhibit will be the most talked about at any New York event. In addition to trade show exhibits, we also offer retail displays that can make New York retail location stand out. Watson Productions can design and create temporary kiosks or permanent environments that encourage consumers to stop into your location. Your products will be eclectically displayed and easily accessed. We have assisted clients with retail stores, boutiques, luxury department stores and pop-up kiosks. For the most creative trade show exhibits in New York, contact Watson Productions at 516-334-9766 today. 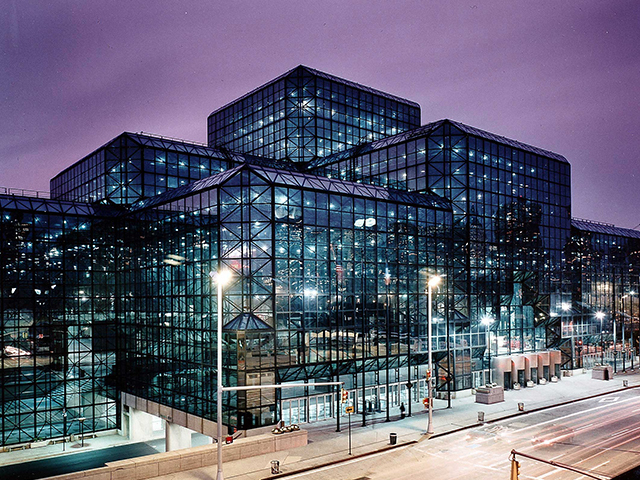 We can handle all phases, logistics and details of your New York trade show!